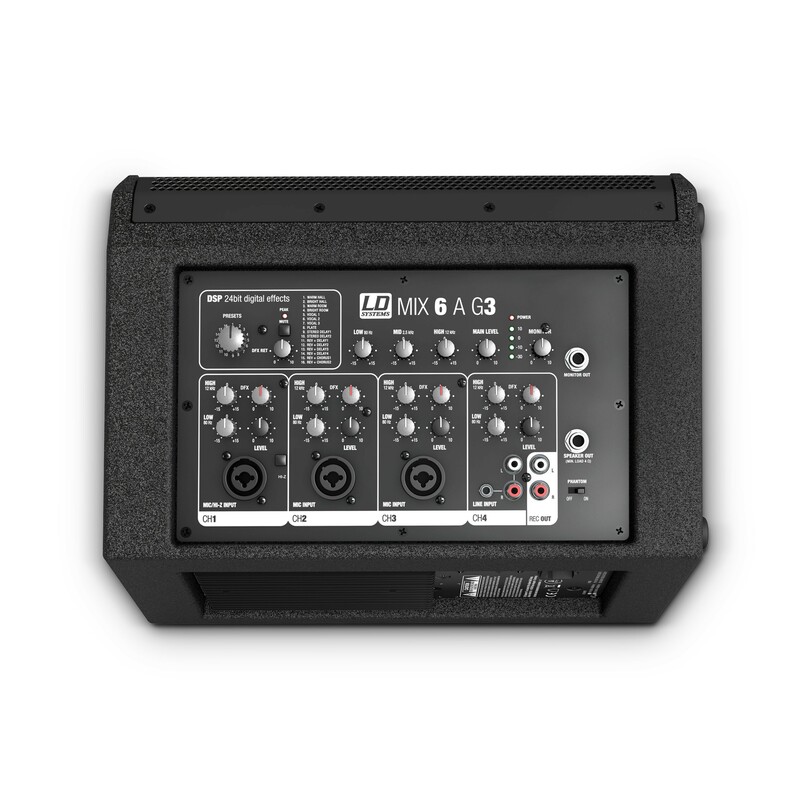 The ideal choice for small-scale PA and personal monitoring applications, the active LD MIX 6 A G3 integrates a 4-channel mixer and Class D amplification with 2 x 280 watts peak power. 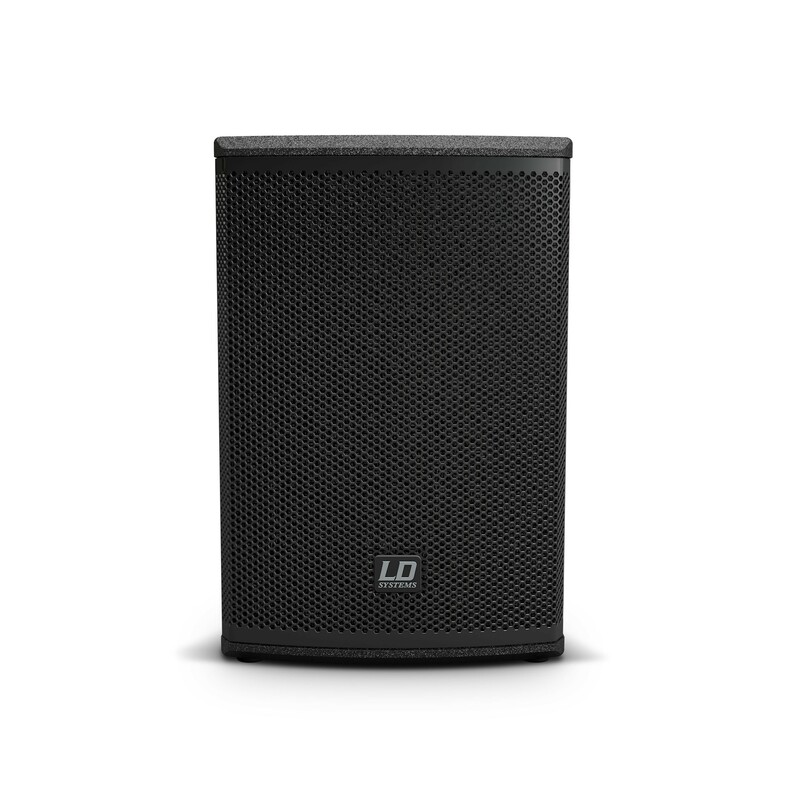 The compact bass reflex loudspeaker features a 6.5" custom woofer and 1" HF driver complement, 80 Hz to 20 kHz frequency response and 80° x 70° dispersion delivering crystal clear sound with punch and detail. 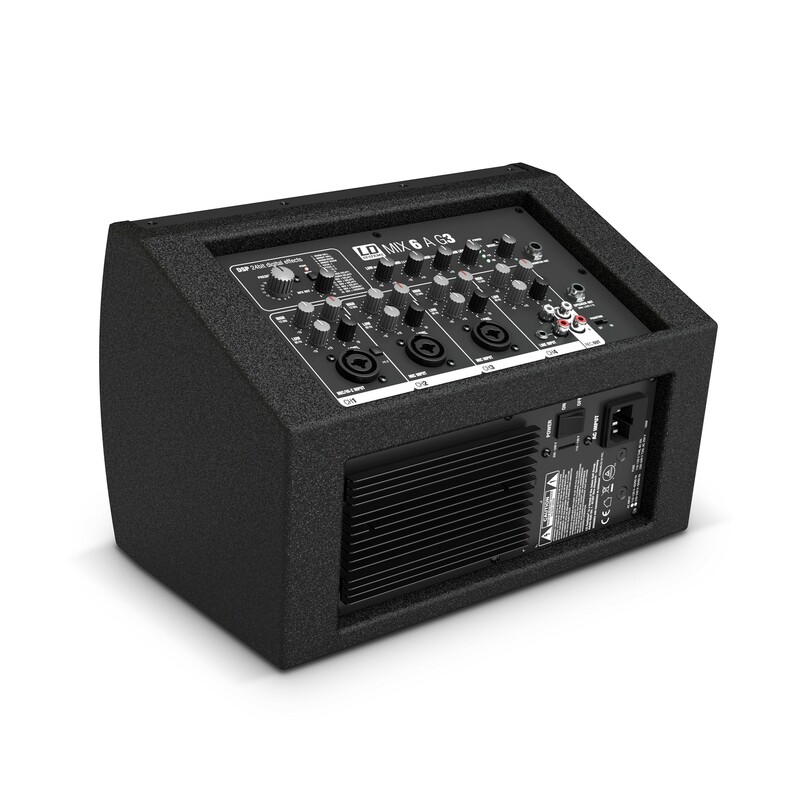 Accomodating a wide variety of input sources including electric instruments, smartphones, tablets, MP3 and CD players, the built-in mixer provides 3 microphone channels and a stereo line channel with 2-band EQ each plus switchable hi-Z input and 15 V phantom power. 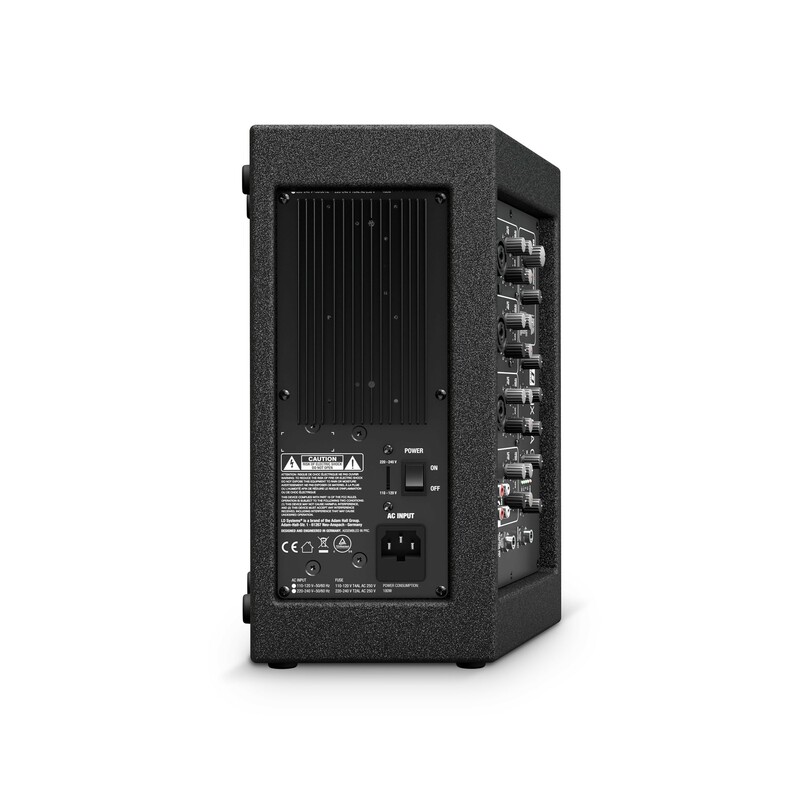 The output section includes a 3-band master EQ for overall tone shaping, 4-segment LED metering, an adjustable monitor and RCA recording outputs. 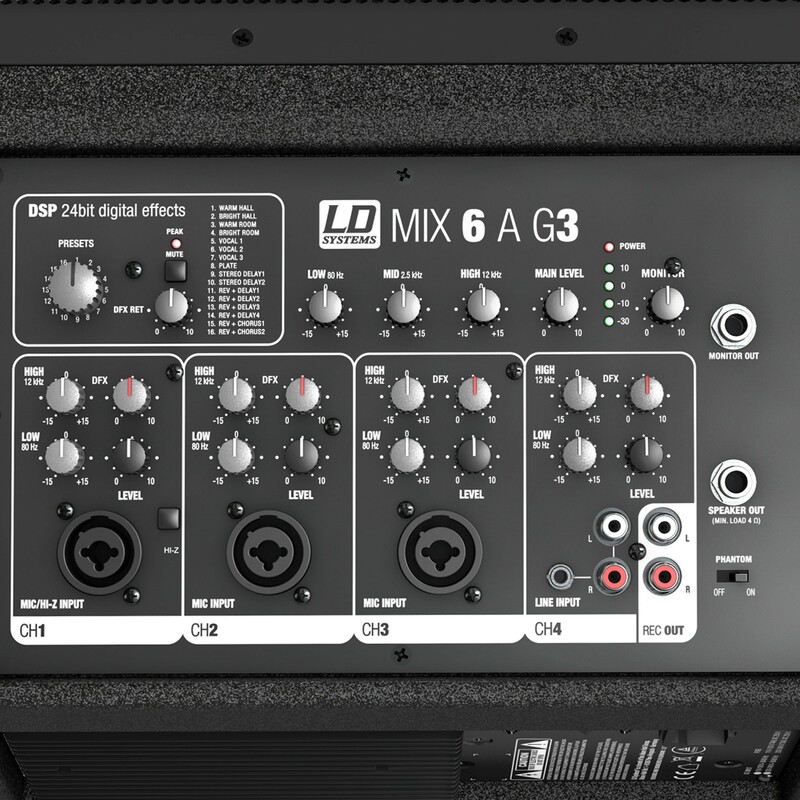 In addition, the LD MIX 62 A G3 sports a DSP with 16 effect presets, limiter and overcurrent, overload, short circuit and thermal protection. 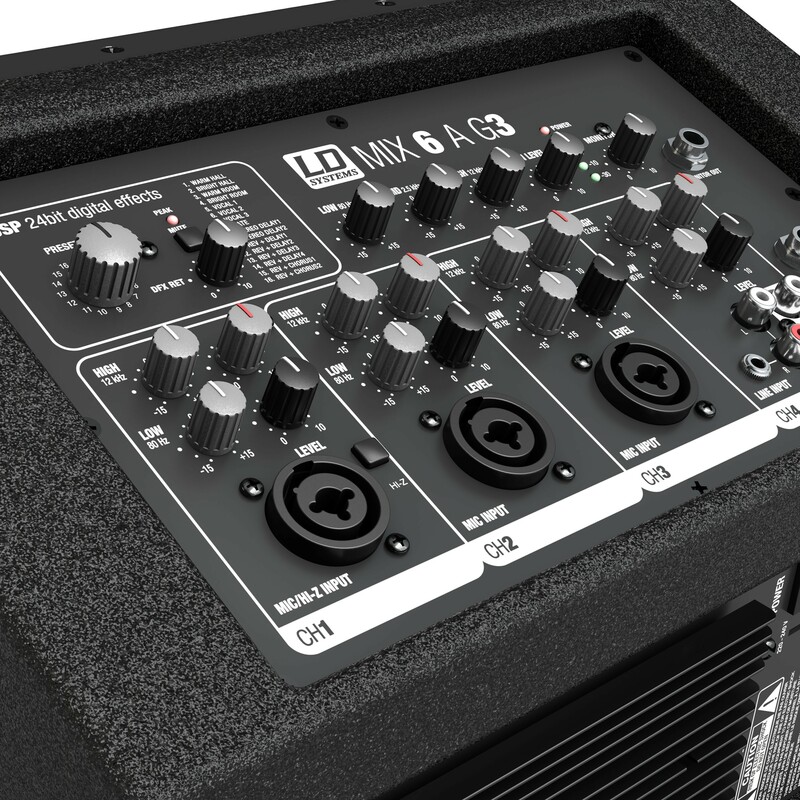 A 4 ohm slave output allows powering the passive LD MIX 6 G3 for a dual speaker setup. 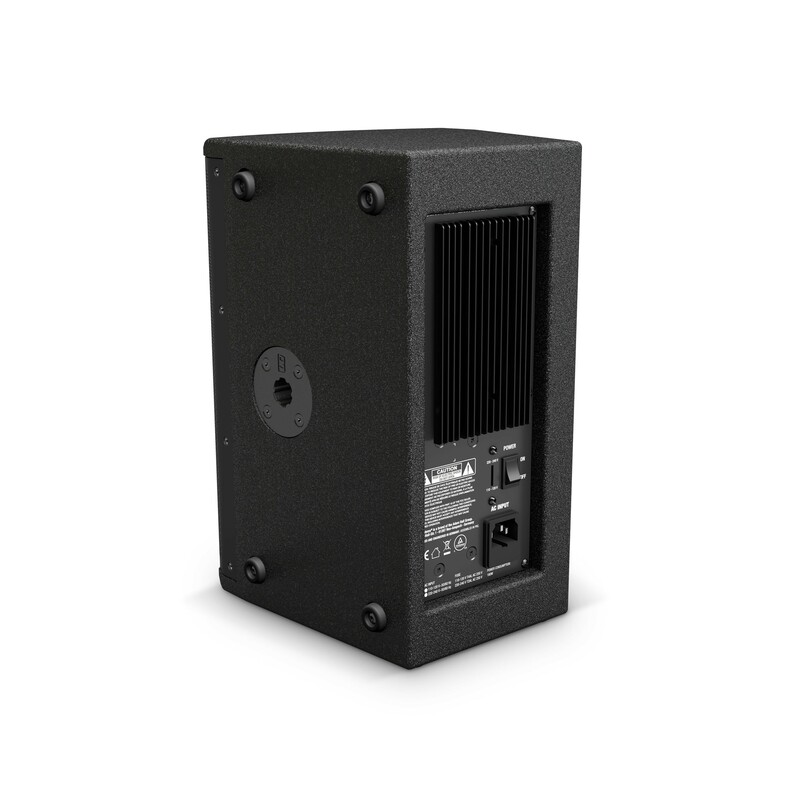 The rigid MDF enclosure features two 16 mm pole mounts for horizontal or vertical orientation. 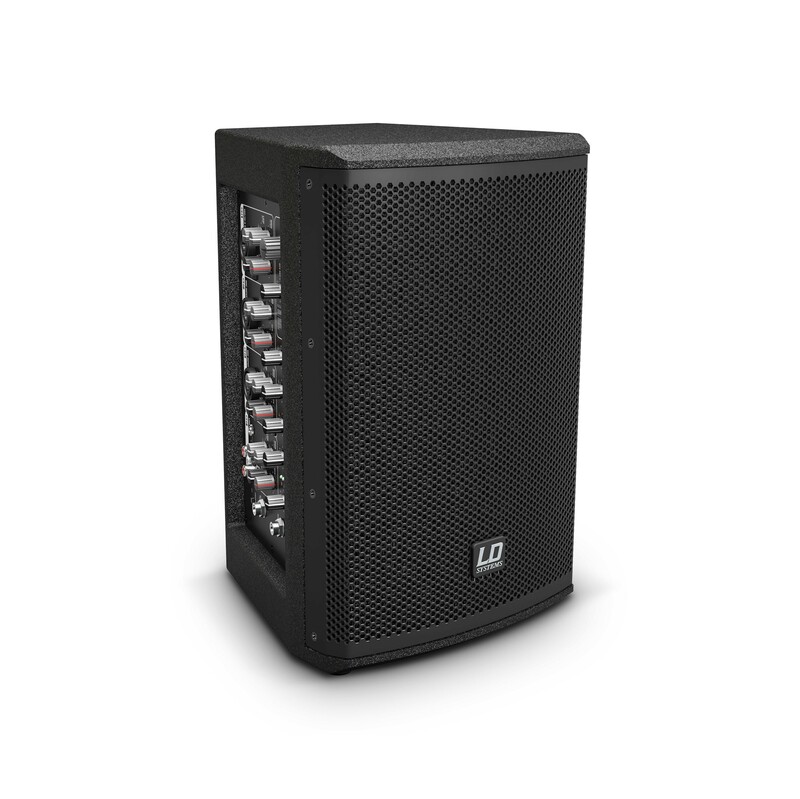 On its own or in tandem with the passive unit, the LD MIX 62 A G3 provides amazing performance and versatility in a lightweight, easily portable package. 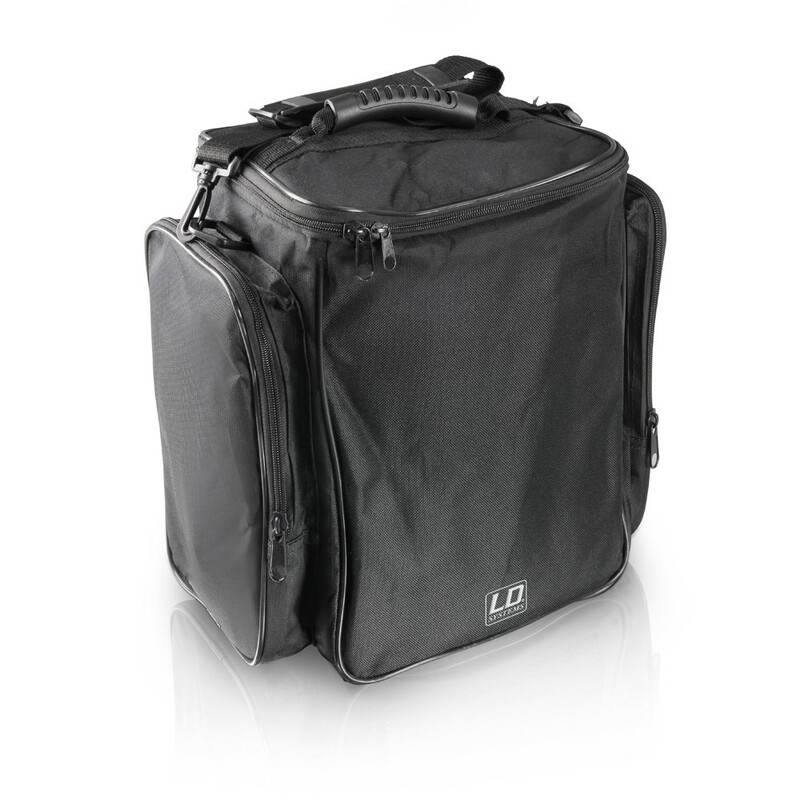 Suitable for active and passive models, this carry bag protects your STINGER MIX 6 loudspeakers against bumps, scratches and dirt. 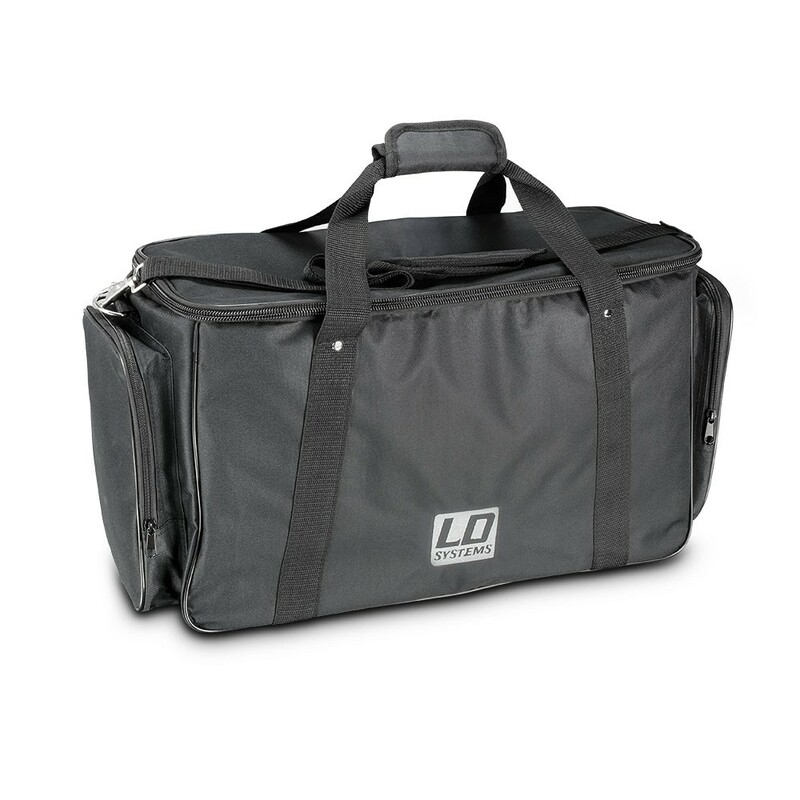 It is made of tough, water-repellent 600D nylon , padded with 5 mm foam and features two convenient outside pockets for cables and accessories, a comfortable handle and adjustable shoulder strap. Reducer flange or adapter from 36 mm (e.g. 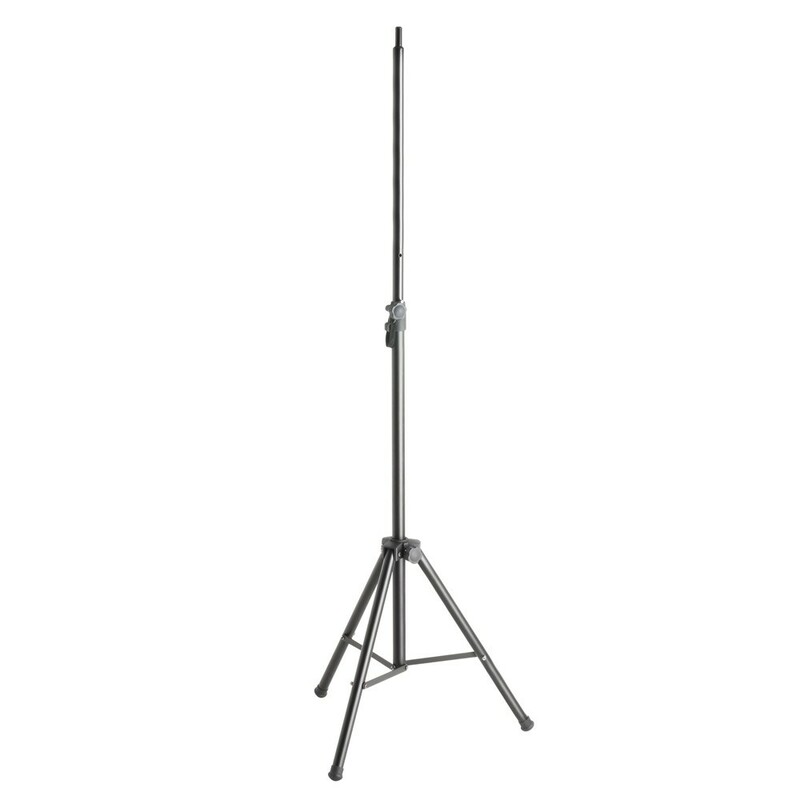 speaker stand) to 16 mm. 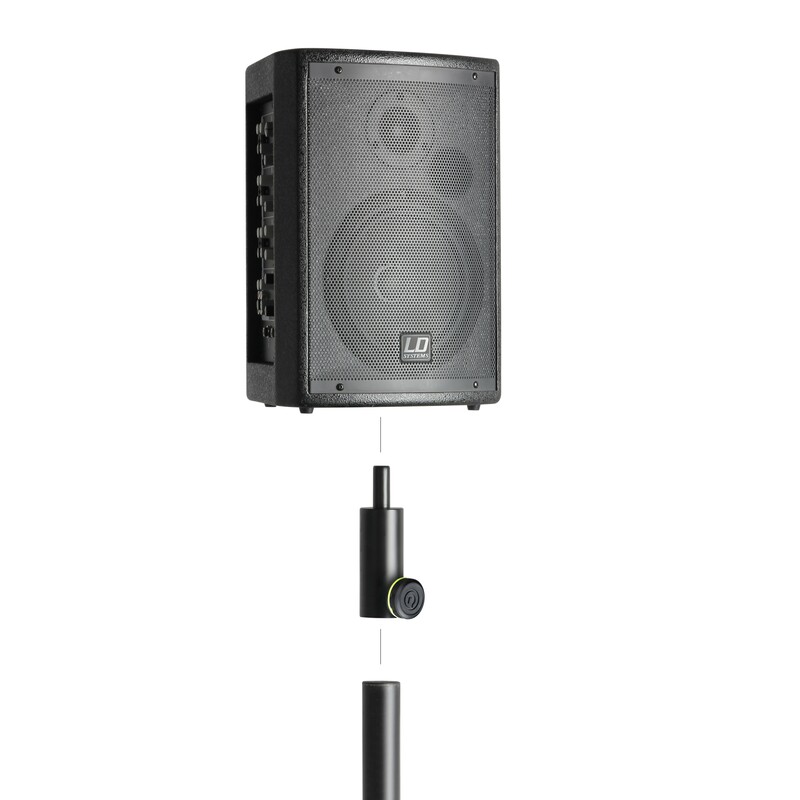 Speakers with a 16 mm flange can be installed onto a normal loudspeaker stand using this adapter. 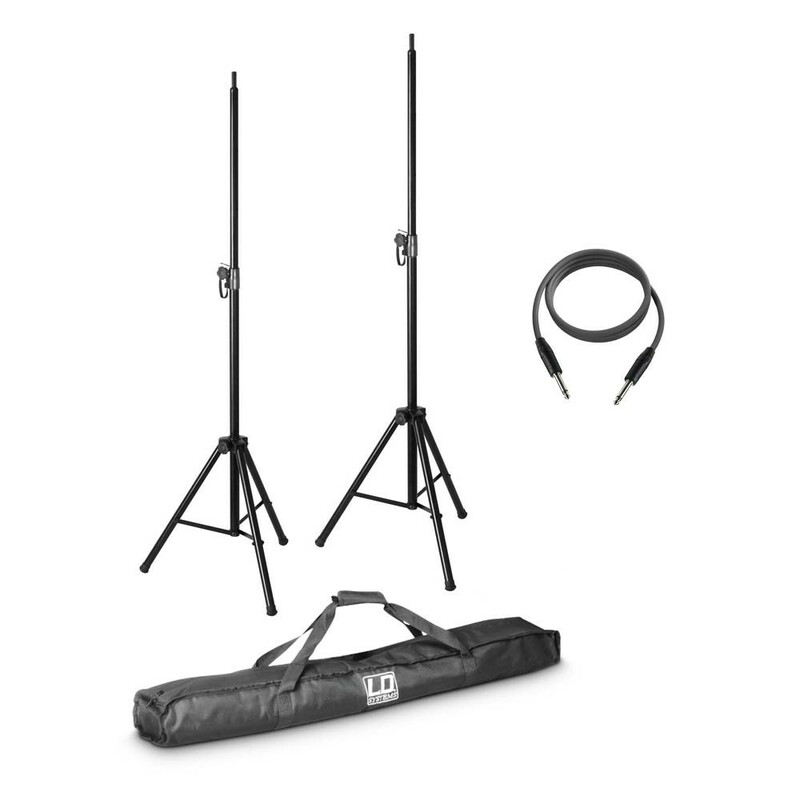 This set consists of two robust speaker stands for the MIX 6 (A) G2 speakers, a 10 metre long speaker cable (Jack) and a high-quality, padded transport bag for both speaker stands. 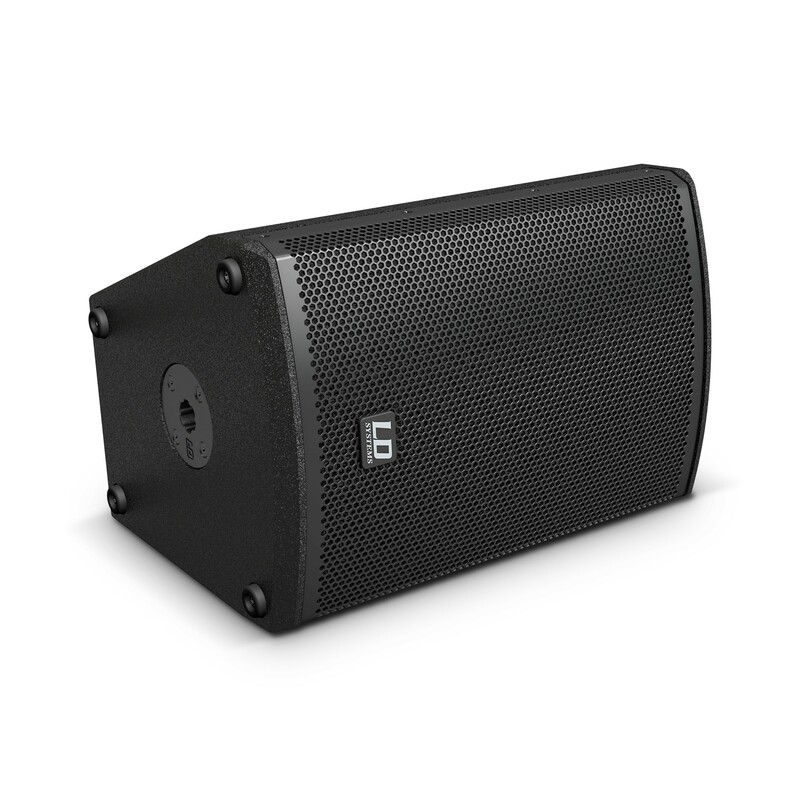 The speaker cable is intended to connect the passive fullrange model Stinger MIX 6 G2 to the Stinger MIX 6 A G2 for slave use. Robust speaker stand for devices with a 16mm flange. 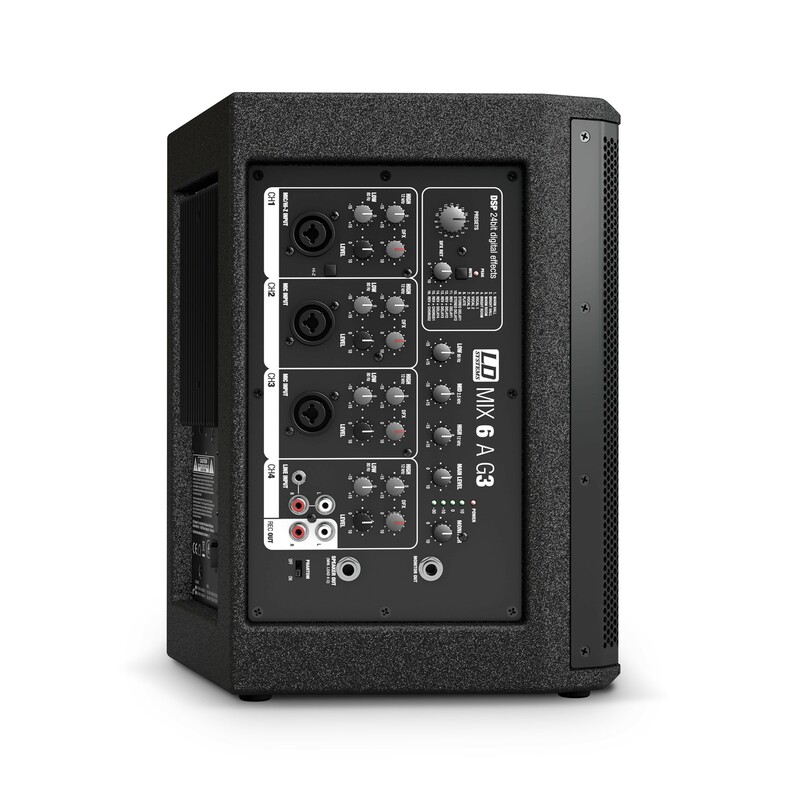 A perfect accessory for many mobile LD Systems products.